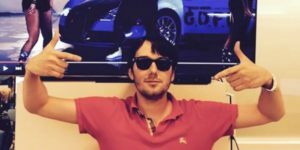 This week the story of Turing Pharmaceutical CEO Martin Shkreli and his hiking of the price of a decades-old pill that treats the serious illness toxoplasmosis from $13.50 to $750 broke. I was outraged as the vast majority of Americans were. But a special wave of nausea swept over me when I read more about this former hedge-fund manager turned biotech venture capitalist. In his biography, characterized by an incessant thirst for wealth and shady business practices, is a fact of personal significance to me. In 2011, Mr. Shkreli founded biotech firm Retrophin with the goal of focusing on medicines for rare diseases. I lost my two-year-old daughter to a rare and as yet incurable disease. It’s funny how the memory of mind-numbing fear and rat-trapped-in-a-cage desperation lurks just below the surface of a mother’s existence after losing a child. The memory of being unable to do anything to save my child isn’t just a mental exercise. It is a very real and raw sensation that I relive over and over and will my entire life at unpredictable moments. So when I pictured a man like Mr. Shkreli someday holding the key to a terminally ill two-year-old’s only hope of survival, I became literally sick. It’s easy to vilify this man. His choice to make a 5000 percent return on an old product was obviously pure, unadulterated greed. Only the most naïve individual or an individual who is totally invested in the ideology of free markets at the expense of humanity would be satisfied with his flimsy excuses. Even the trade group PhRMA has distanced itself from his actions in a public statement and other industry professionals such as John Maraganore, CEO of biotech Alnylam Pharmaceuticals, have heavily criticized him. But this man’s actions put before Americans a case study that should trigger some collective self-examination. This story gives us an opportunity to rethink the principles we as a society operate on that allows a man like Mr. Shkreli to do what he does. It gives us a chance to ask ourselves if the free-market framework of a product’s value being determined by “what people are willing to pay” should be a significant factor in drug development and the cost of a drug. What a person is willing to pay for a product is great for things like tennis shoes and sports cars. At the end of the day I can walk away from a new purse. But I couldn’t walk away from the life of my child. Hell, I even bargained with God. I told Him I would give 10-15 years of my life if He would spare my child. If He would have taken me up in it, I know I would gladly have paid for her survival with my very life span. So when “what people will pay for a drug” is a significant determiner of what a business is allowed to charge a woman in my position, how can we rationally think that this won’t lend itself to exploitation? I know research is expensive. I also know that biotechs and pharmaceuticals take huge risks in investing millions of dollars into products that may, in the end, be ineffective and therefore a loss to the company. All of this must, of course, be taken into account when pricing drugs. But I also know that the pharmaceutical industry is enormously lucrative and drug pricing is anything but a transparent process to the public. While the issue of drug development, research, and pricing drugs to reflect the costs is admittedly complex, there is one simple fact that discourages me. It is possible to get very rich off diseases like the one that killed my daughter. Believe me, I am in no way claiming to be qualified to argue for specific policies that can best take into account the protection of the sick and dying as well as support innovative drug development. But what I am arguing for goes deeper and forms the groundwork that sound policies must be built on. I am calling for a change in American values when it comes to medicine and treatments. I am advocating for an underlying societal value that says that suffering, illness, and dying should not be a space in which companies and individuals can amass enormous wealth. If the will of the people of the United States were driven by this value, I have no doubt that we could draft sound policies that would reflect that value and also drive us to find cures. You see, the fact of the matter is that there will always be people like Martin Shkreli. People who are shrewd enough and unscrupulous enough to know that the real “market value” of desperation for a family with a dying child is whatever price tag their greed wants it to be.